6 Holiday Home Security Tip. With the decorations, parties, shopping, and fun coming up with this holiday season, it is essential to be safe while having fun as well. 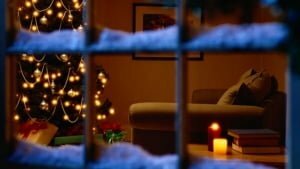 The best thing Great Lakes Security Hardware can suggest for your home safety during holidays, and even the rest of the year is to have a reliable monitored security system. However, you can do several other things in addition to a monitored security system to keep your home safe during the holidays. Without further ado, here are SIX essential Holiday Home Security Tip. Here is the first Holiday Home Security Tip. If you have a wood doorjamb, a lock strike plate is the weakest point in a door. Upgrade to the heavy-duty strike plate, and use four three-inch screws to secure it to your door frame. The next Holiday Home Security Tip is If you’re planning to travel during this holiday season, ensure you keep your travel plans off social media platforms. Never post where you’re going, when you’re leaving, or when you’ll be back. This is crucial information for a burglar because he’ll know when your home will be empty. Posting this personal information is never recommended even if you’ve the highest level of security on your Twitter or Facebook accounts. Test your security alarm and monitoring before you leave to ensure that it is working correctly. Hire a reliable, professional locksmith such as Great Lakes Security Hardware to test your door locks and alarm systems. Also, ensure you call your security company informing them that you will be away so that any alerts get taken seriously and immediately. As the fourth Holiday Home Security Tip, keep your valuable items out of sight from the peepers outside your house. Do not keep your spare keys in places quite obvious to the burglars such as under a fake rock or flower pot. Remove your valuable items from sight in the car, if parked in the driveway, and put the lock on a steering wheel. Probably, you want to keep Christmas gifts out of sight from your children, but you also want to ensure the gifts are hidden from a burglar. Putting gifts under a Christmas tree looks good, but it is also an invitation for a potential burglar. Keep your Christmas tree, with the gifts underneath, away from the windows or other places with a view. When you’re not home, it is easy to break through the window and grab your gifts. Do not forget to take care of the gifts you have not received yet. Thieves strike when there is a Prime Amazon delivery or any other package left unguarded on your porch. Add a doorbell cam or other outdoor security camera to deter porch pirates. Another brilliant move is to give the delivery people instructions about where to leave your packages. If you are expecting many deliveries, rent out a package locker (Amazon Prime members have access for free) or invest in a secure drop box to keep on the porch. If you are planning to go out of town during this holiday season, ensure you notify a trusted neighbor or neighborhood watch group. Ask your neighbor to keep an eye on your home and report suspicious activity. You will also want your neighbor to keep the walks cleared of snow and pick up your packages, mail, and newspapers while you’re away. Ensure your house looks like someone is home to deter burglars. Home automation is an excellent way to do this. Add a motion sensor light or use smart light bulbs and plugs that enable you to control TVs, lights, and more from anywhere. Inform the neighborhood watch group of your vacation plans so they can be alert to suspicious activity near your home. And the last Holiday Home Security Tip. Ensure your home is very secure during the holiday season. Check your doors and windows to ensure all locks are intact. Invest in a home security system that’ll protect your home if you don’t have one already. You can purchase it from Great Lakes Security Hardware. Christmas season is a busy time. Unfortunately, burglars cash in on the spoils of holidays by burglarizing homes. For this reason, take proper steps to secure your home from all potential threats. By taking these crucial steps, you can significantly reduce the chances of becoming a victim of a burglary. For more Holiday Home Security Tip, contact Great Lakes Security Hardware. Call us today at (888) 855-6257 or fill out the contact form. Moving to a new home can be a stressful and time-consuming task. 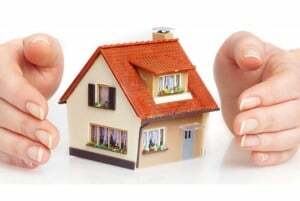 Furthermore, the last thing you want when moving to your new home is a breach of security adding to your stress. At Great Lakes Security Hardware, we’ve put together 11 security tips for moving. When you’ve moved into a new home, get a Roseville locksmith from Great Lakes Security Hardware to come and assess your home security to ensure everything is up to standard and in top shape. Ensuring that all outbuildings are secure is the next Security Tips for moving. These days, most homes have standalone garages, sheds, summerhouses, workshops, etc. that house valuable items such as bikes, power tools, lawn mowers, and are the primary target for burglars. Contact Great Lakes Security Hardware to upgrade your outbuilding locks to US Standard Locks in case someone has a key from a previous tenant. Change the locks on your external doors of the new house, Great Lakes Security Hardware can install high-quality locks that are recommended for homes. They’re one of the highest security and durable locks for your new home. Find out whether the house has been burgled before. Remember that burglars are known to return to the properties they already know their layout. Also, ensure that your alarms and security system are different from before. For instance, install outdoor security lighting to deter burglars. Get to know the local Neighborhood Watch Team. Therefore, you know that someone is always watching over your home when you aren’t in, and that gives you peace of mind. The next Security Tips for moving is; Change the alarm codes. Change the code of your alarms as soon as you move into your new home and give out alarm details and keys to people you trust. It is important to Change your alarm code regularly and ensure that spare keys are returned. In addition, it is imperative not to keep your keys in “seemingly safe” places such as under doormats. Remember to redirect your mail immediately. In the garden, ensure all ladders and tools are stored safely away in locked sheds and garages and cut back hedges or bushes that obstruct view and burglars could hide behind. Do not leave empty boxes visible in the street if you’ve bought expensive items for your property since burglars are always on the lookout for such things. Ensure that the woodwork on windows upstairs and downstairs is in excellent condition. Burglars can easily pry open any rotting wood with a screwdriver or crowbar. Bolstering sliding doors – Another Security Tips for moving is that your Balcony doors are great for views and sunshine. However, they can pose a great danger if they aren’t secured properly. An unsecured sliding door gives an intruder a relatively quiet and untraceable entrance to your home. While it is essential to lock your balcony door always when it is not in use. Sliding doors usually have inadequate and weak locks and come off their tracks with a nudge. For optimal security, arm your sliding door with a pole on the track or an inside bar lock. You can install a secondary locking mechanism with the metal pin inserted through a doorframe and into your sliding door. We hope these Security Tips for moving will help you keep your home secure when moving. Great Lakes Security Hardware are on hand to help with your security concerns when you’re moving to your new home. Call us today at 888-855-6257 or use our contact form. If you want a safe, convenient, and low-cost security solution for your business, consider electronic door locks. At Great Lakes Security Hardware we provide excellent Electronic door locks systems for your home and Business area. For more information contact us at 888-855-6257. Looking For the Best Locksmith Service, Roseville, MI? Look no further. Because Great Lakes Security Hardware provides the best locksmith service for your home and business in Roseville, MI. Contact us for all your locksmith issues. Your home security begins at your front door with your deadbolt and lock. We recommend the use of only high-quality door locks from trusted dealers. If you lose your home keys or move to a new residence. It’s important to hire a professional and reliable Rekey Locksmith Service to rekey your door locks. Here at Great Lakes security Hardware we take care of all locksmith problems including rekeying. For more information contact us at 888-855-6257. When selecting a locksmith service provider, there are some factors to keep in mind. Choose a locksmith that is available 24/7, certified and offers excellent service. At Great Lakes Security Hardware provide locksmith service 24/7. We are certified and services are rated 5 star. Visit us today.